Today was a day of remembrance for United States of America’s former President George H.W. 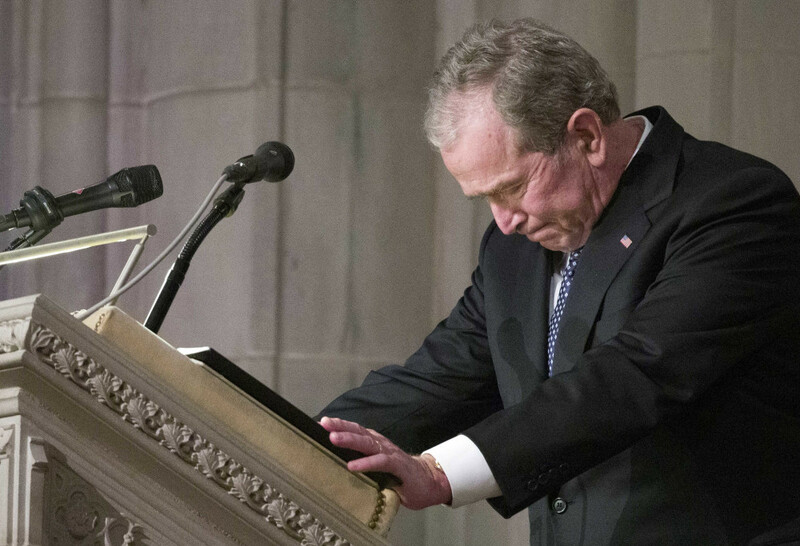 Bush, as he was mourned at a State Funeral at the National Cathedral on Wednesday (December 5) in Washington, DC. The state funeral was attended by current President Donald Trump and First LadyMelania Trump. They sat alongside past presidents including Barack Obama, Bill Clinton, and Jimmy Carter, along with their wives Michelle Obama, Hillary Clinton, andRosalynn Carter. Also in attendance at the state funeral were former Vice Presidents Joe Biden and Al Gore,Ivanka Trump with Jared Kushner, current VPMike Pence, and more. A WWII combat veteran, Bush served as a member of Congress from Texas, ambassador to the United Nations, director of the CIA, vice president and 41st president of the United States.